Jeanette in Winterset loves them - you will, too! Enjoy a complimentary taste of our newest flavors. They're included in EVERY online order! See how our gum is made. 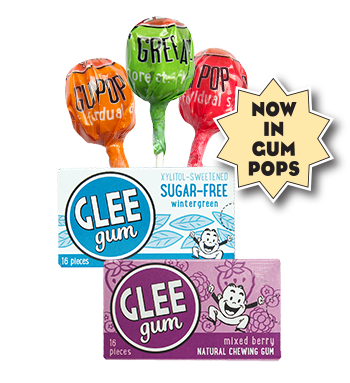 Glee Gum is delicious chewing gum. No artificial colors, flavors, sweeteners, or preservatives. Aspartame-free. Non-GMO Project Verified. Made with chicle, a tree sap harvested sustainably to help conserve the rainforest. 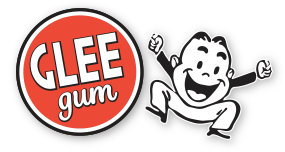 Glee Gum comes in 11 great flavors: peppermint, tangerine, cinnamon, bubblegum, spearmint, mixed berry, sugar-free lemon-lime, sugar-free peppermint, sugar-free watermelon, sugar-free bubblegum, and sugar-free wintergreen. It’s the best-selling alternative to conventional, synthetic gum in the country. So, change what you chew! 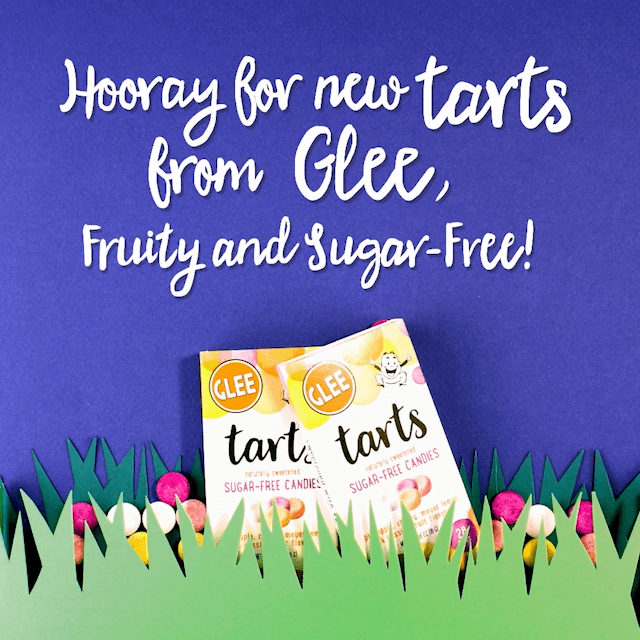 Glee could be the natural choice for YOU. 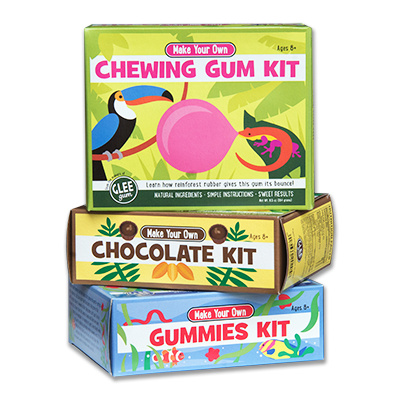 Make Your Own Candy Kits offer everything you need to make your own chewing gum, gummies, and chocolate, from scratch. Educational and eco-friendly, each DIY activity kit comes with great ingredients and simple instructions. Easy to enjoy at home, in the classroom, at birthday parties, and more. Fun gifts for the young and the young-at-heart!